I’ve been working behind the scenes on revamping my YouTube video look for awhile. It’s quite fitting that this new look is coming now when my 30 Updos videos have all been released. Now that I have shared them all, I can move onto other content that many of you have been wondering about. I have so much more to say, show and share with you; from product reviews to my routine to fro inspiration. 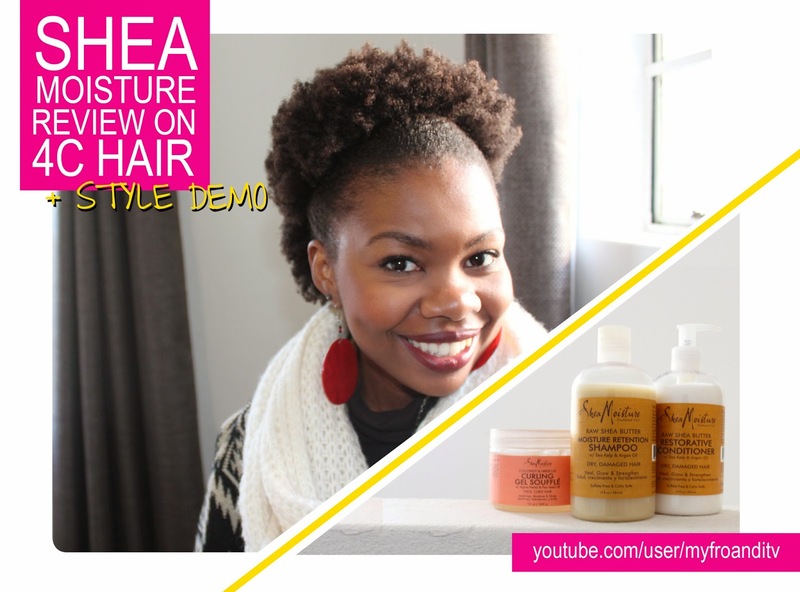 And after a while (read a couple of months) of creative brain farting, I’m so excited to finally launch the new look for My Fro & I TV with a video review for Shea Moisture Products I got from SA. Be sure to watch, I’ve included a quick style demo there too which is great for those shrunken fro days. Hope you like! Is the shea moisture range available in SA? I totally love your blog and since my big cut in March, I've been checking out your blog and youtube videos on a regular basis. Would like to know how you found the Shea Moisture products. Were you happy with the results. Anything that you would maybe like to add to some of the products? Hi there, so far I'm loving the products. I'll be reviewing another one very soon. I have yet to find something that can help me style my hair in the mornings – a lotion type of product that doesn't shrink my hair whilst I use it. Otherwise, generally great stuff.